Painting Rocks is something that I have done for years. It started when I was a teen camping with my parents and has continued throughout the years. I’ve done complicated rocks such as full dinosaurs, bunnies, owls and more, as well as super simple rocks. It’s a very relaxing way to pass the time and if you leave them around town or your neighborhood it’s also a fun way to brighten an unsuspecting persons day! Since we’re living in a construction area at the moment there are tons of rocks around. The kids and I went on our nightly rock and I decided to start collecting some small rocks for painting. As we walked we formulated the plan, and we got super excited with what we came up with: Pokemon Go Rock Hide and Seek! 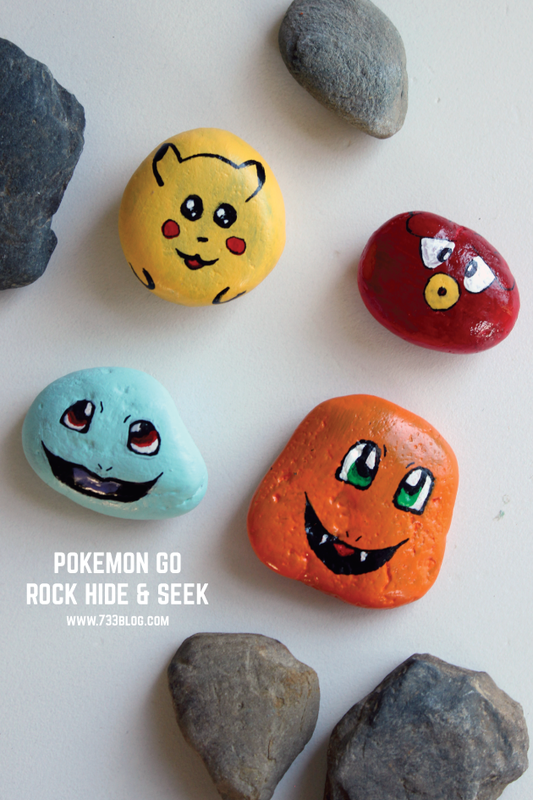 Simply put, paint some rocks to resemble Pokemon, hide them outside and then someone else heads outside to catch ’em all! Or paint a bunch of Pokemon rocks and hide them around your local park for all those Pokemon Go players to find. When one is found, hide it in a new place and a new person starts the hunt. I used images of Pokemon from an internet search as a reference for painting the rocks. It took several coats of the base color to cover the rock entirely. Once the base coats were completed and dry, I used a black Sharpie to draw out the details and then filled everything in with paint. Once completely dry I sprayed them with a coat of Clear Gloss Enamel. 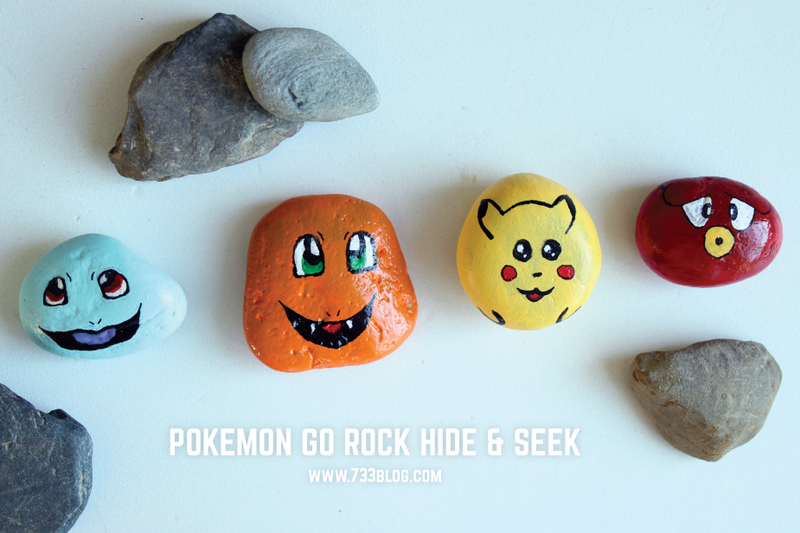 Once the enamel is dry, head on outside to start a fun game of Pokemon Go Rock Hide and Seek!